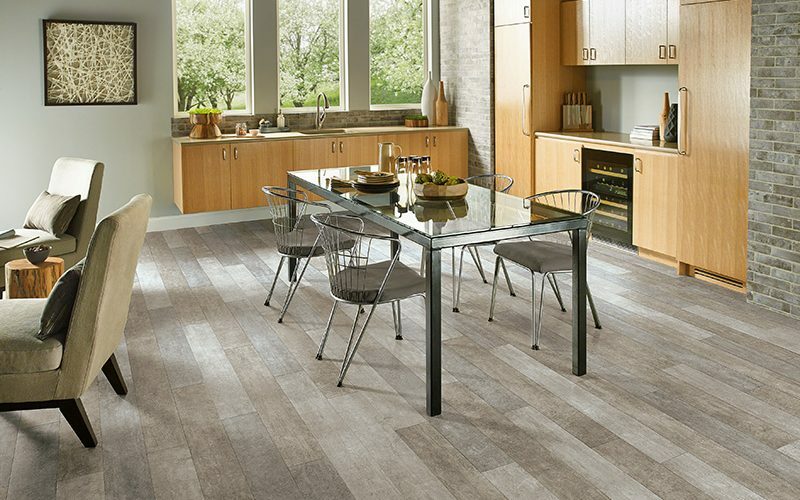 Vinyl sheet flooring combines dramatic, authentic-looking visuals - like slate, limestone, sisal and linen - with durability and easy maintenance. 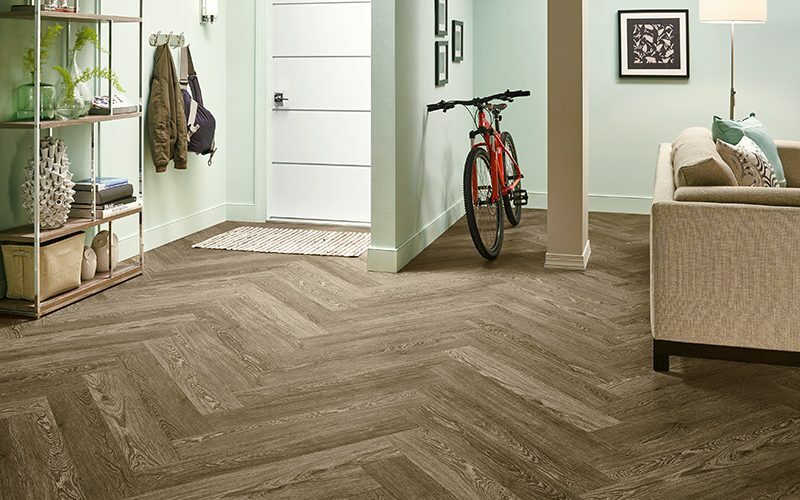 Vinyl tile comes in easy-to-install squares or planks that offer stylish design, astonishing durability, and hassle-free maintenance. 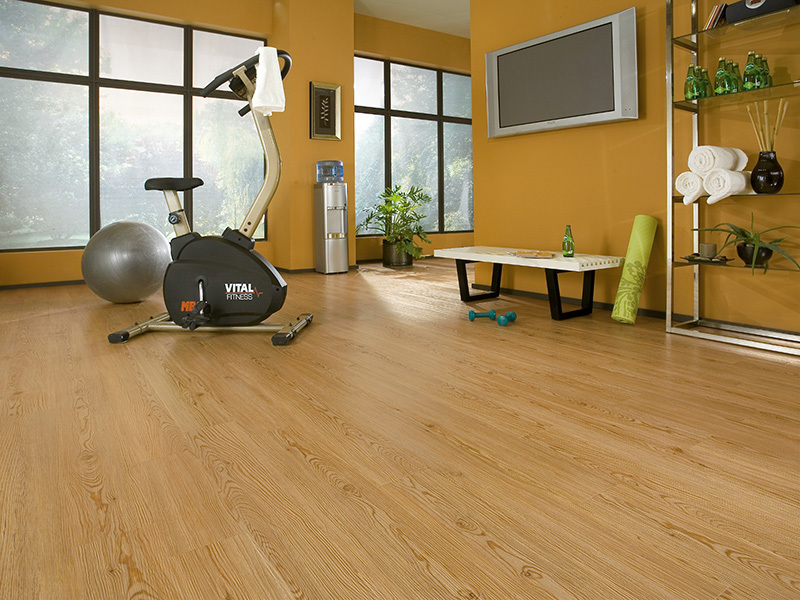 Vinyl flooring is one of the most resilient flooring solutions available. 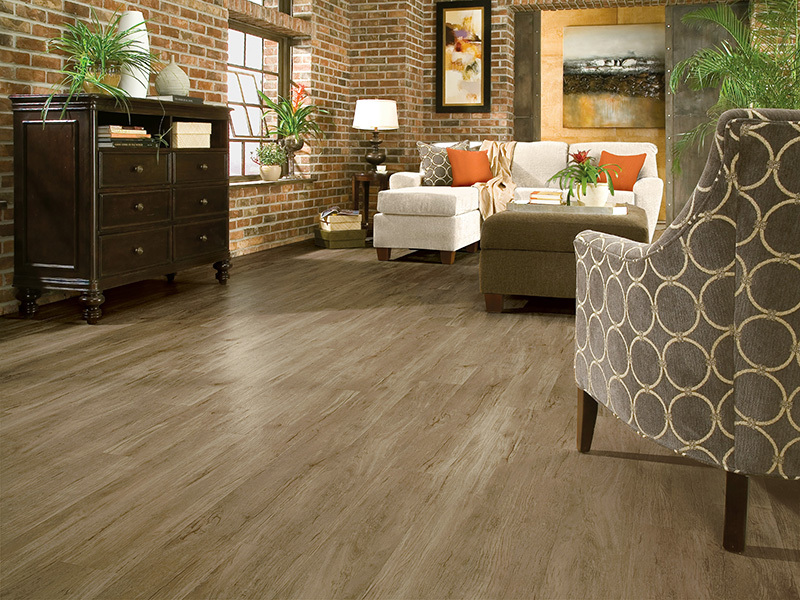 Vinyl offers a variety of colours and patterns to match your decor. 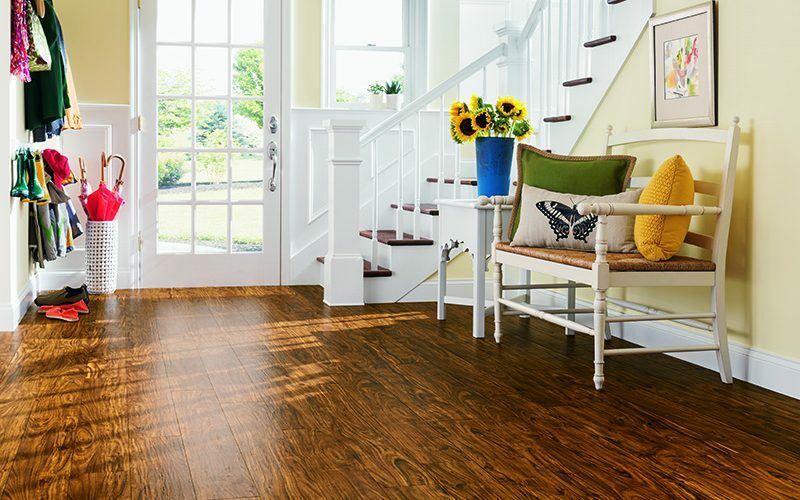 With proper surface preparation, vinyl can be installed over any standard underlayment, concrete, old ceramic tile, wood, or non-cushioned vinyl flooring. 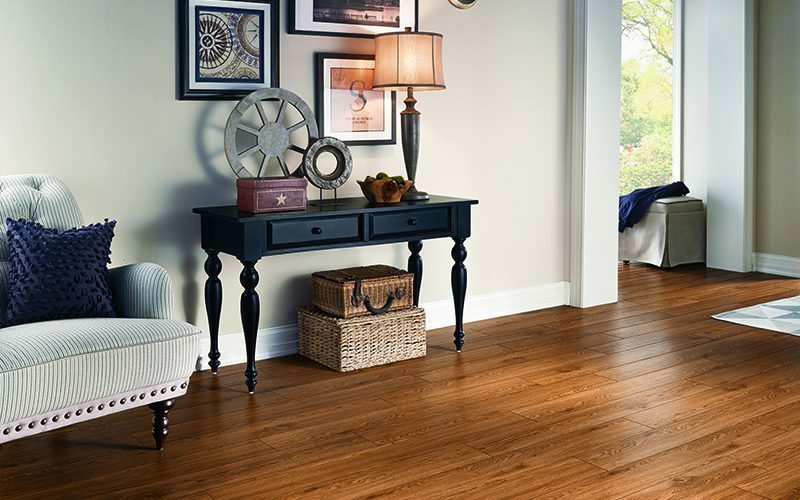 Stability and water resistance make vinyl a good choice for rooms on all grade levels. 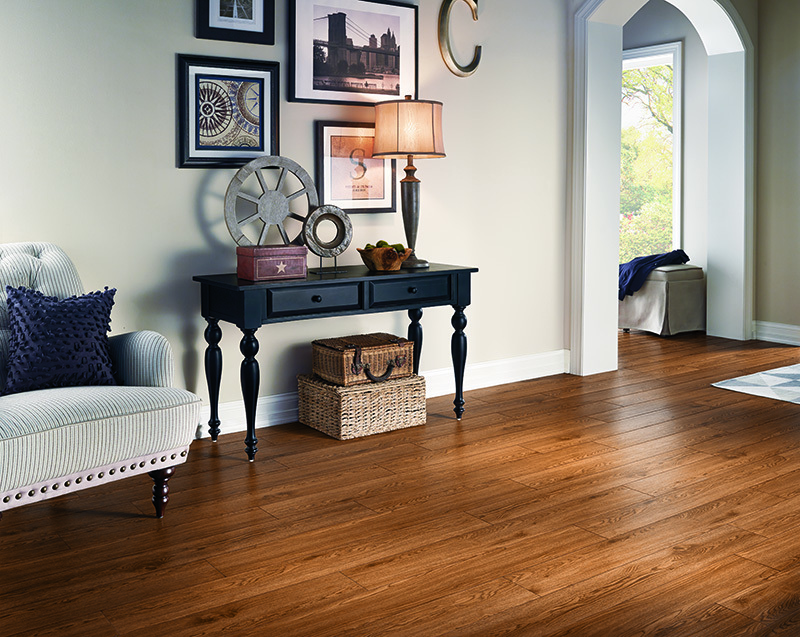 Luxury Vinyl plank flooring offers the durability and low maintenance of a vinyl floor with the stunning visuals of hardwood, stone or ceramic flooring. 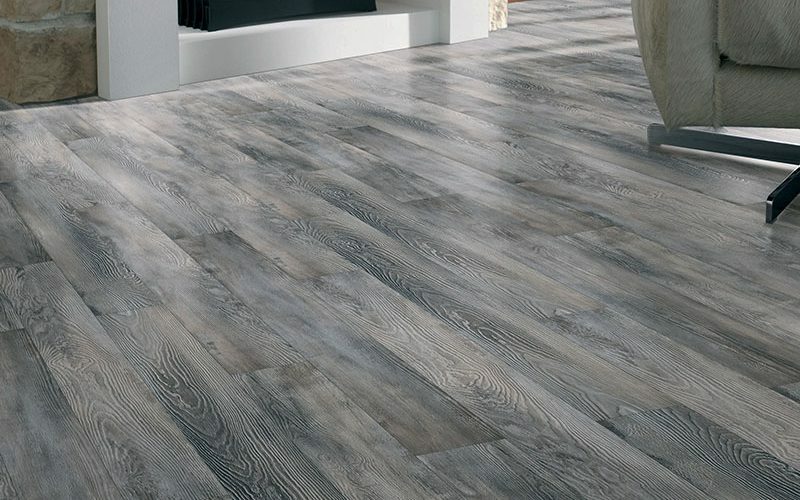 Luxury Vinyl Planks are available in a variety of styles and are made using a high definition printing process that makes them look like real wood or stone. 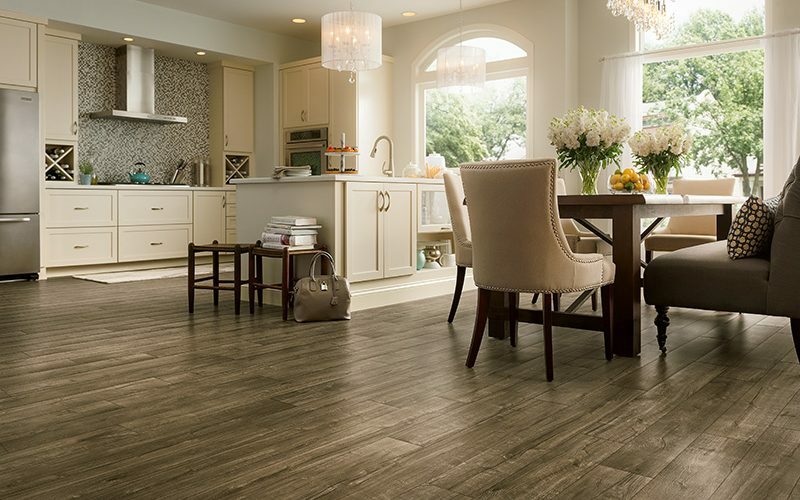 Luxury Vinyl Tile offers the same durability and low maintenance of a traditional vinyl floor with the stunning visuals of ceramic tile or stone. 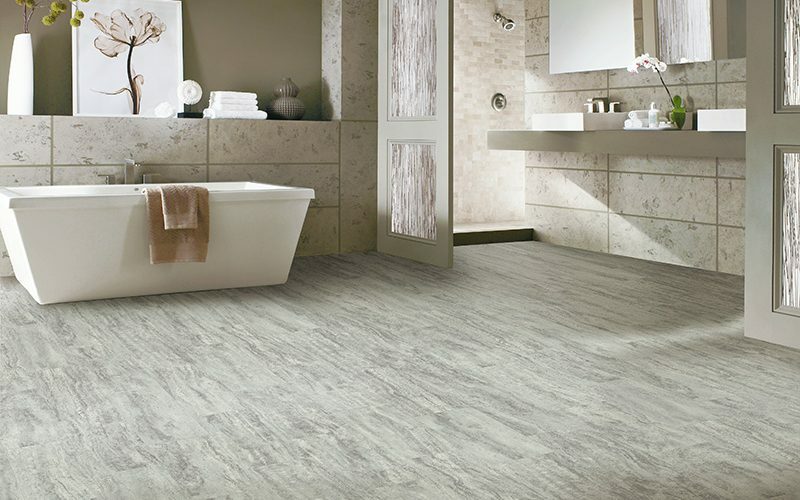 Luxury Vinyl Tiles are available in a wide array of styles, sizes and colours and are made using a high definition printing process that makes them hard to distinguish from real tile or stone. 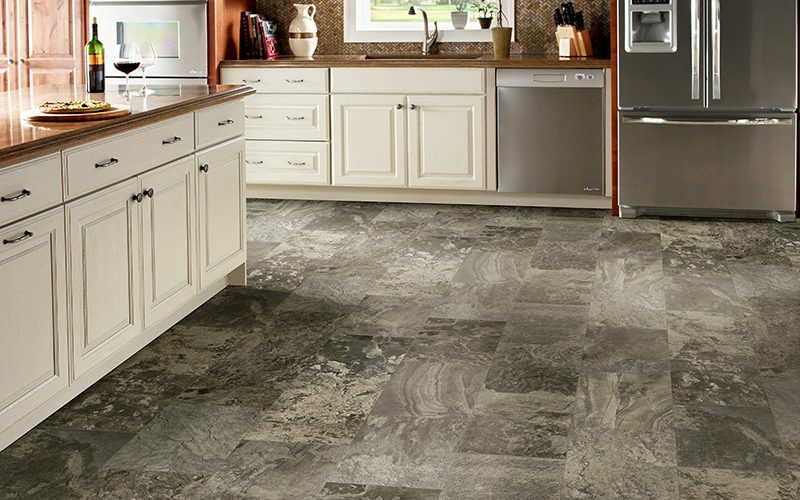 Engineered Stone is comprised of a limestone composite core with a vinyl wear layer, which sets it apart from both ceramic and traditional vinyl flooring. 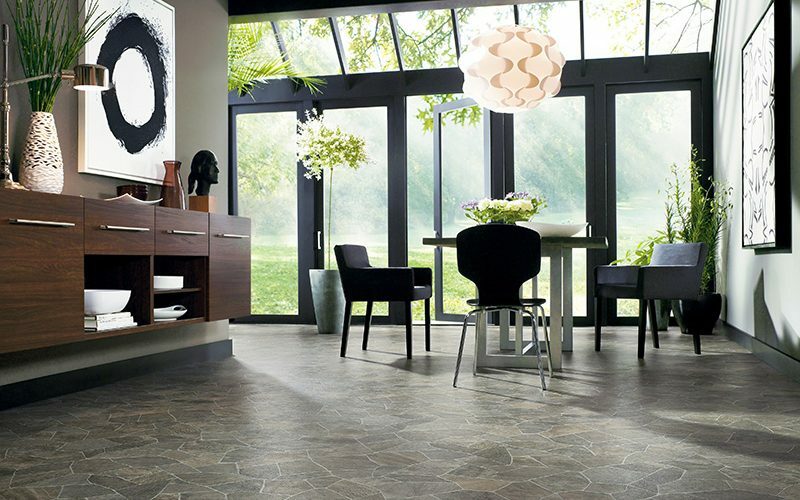 Engineered Stone offers the look of ceramic tile or wood but is much warmer to the touch. Engineered Stone flooring often offers the option of a grouted or un-grouted installation based on the look you are trying to achieve and can be installed in any area of the home. 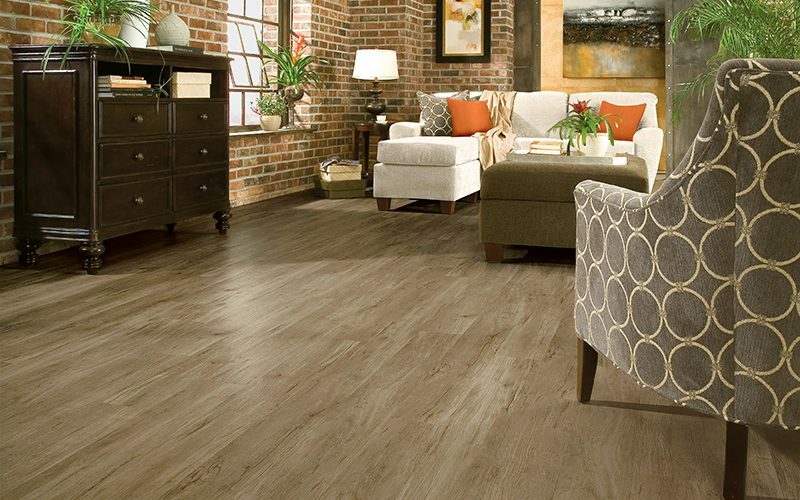 Sheet Vinyl flooring has come a long way from your tradition vinyl floor. 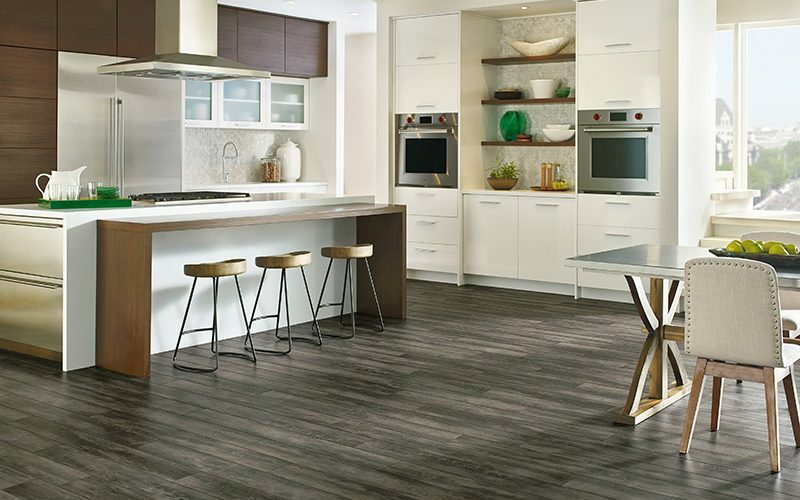 Sheet Vinyl offers a wide range of visuals from ceramic and natural stone to hardwood flooring and can be installed in any area of your home. 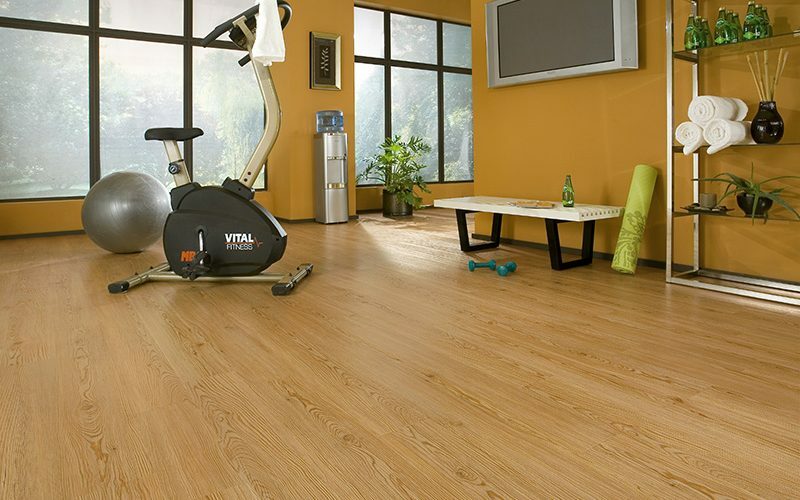 Vinyl is a durable, low maintenance flooring option with a wide range of price points.